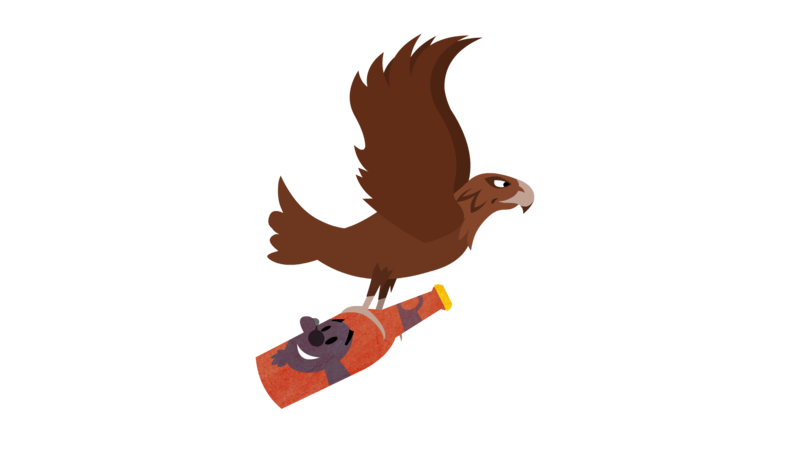 Little Creature’s association with online beer delivery company Beer Hawk goes right back to it’s inception in 2012 when the founders came to us for a character design. They wanted a sense of fun and a design that would work well both digitally and printed in flat colour on their packaging. 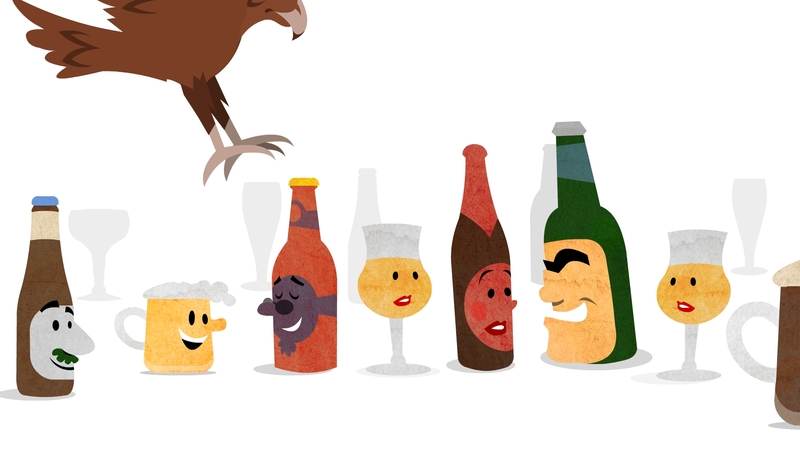 They loved the resulting hawk character so much that a 60 second animated ad was commissioned to emphasise the variety of unusual craft beers they stock. “Is your fridge boring?” was our response, featuring Chris’ very own homespun voice talents alongside the infinitely more talented tones of Alex Dunbar (see video below). Above: Our hawk design used in the original logo & translated to packaging (below), t-shirts, embossed glasses &more!